You want space you got it! 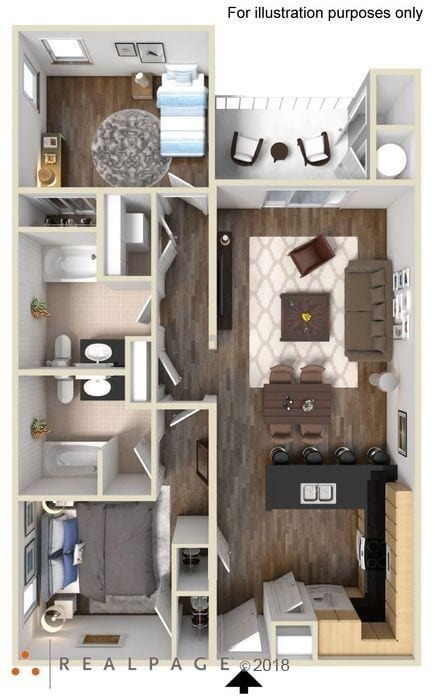 This 1 bedroom floor plan is perfect for entertaining. You can't help but be impressed by all the thoughtful touches you'll find at every turn: modern wood like flooring and lush Berber carpet in the bedroom. 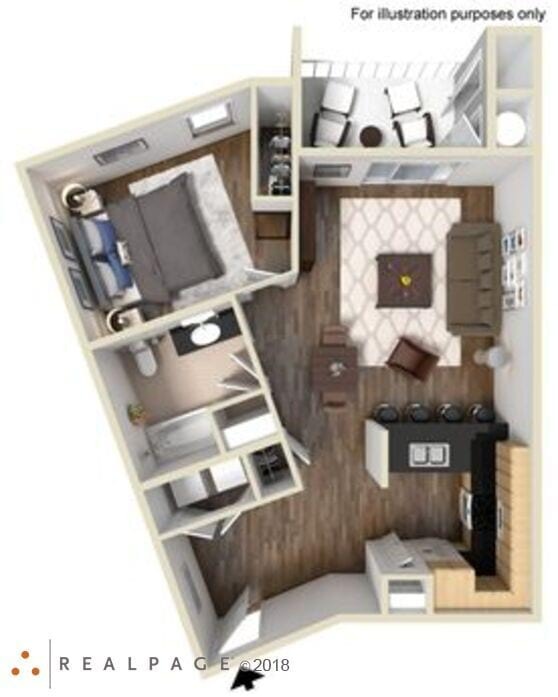 Individual washer and dryer, spacious baths and energy efficient appliances throughout. This floor plan is the perfect balance between space and comfort with beautiful lush Berber carpet in the bedroom and modern wood like flooring throughout the rest. You will be able to relax on your very private balcony located right off your lving area. This 1 bedroom home is filled with all energy efficient appliances. This is including a full size washer and dryer. With all the features you will not be disappointed. Inside, this new home we have completely designed it with, a spacious kitchen and bathroom, energy efficient appliances throughout, modern wood like flooring in common spaces and lush Berber carpet in the bedrooms. 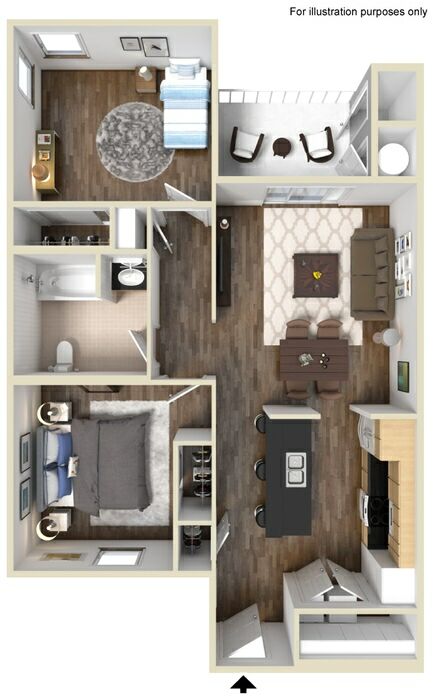 This 2 bedroom 1 bath floor plan is topped with designer lighting, and full size washer and dryer. You've got a home worth cheering for. 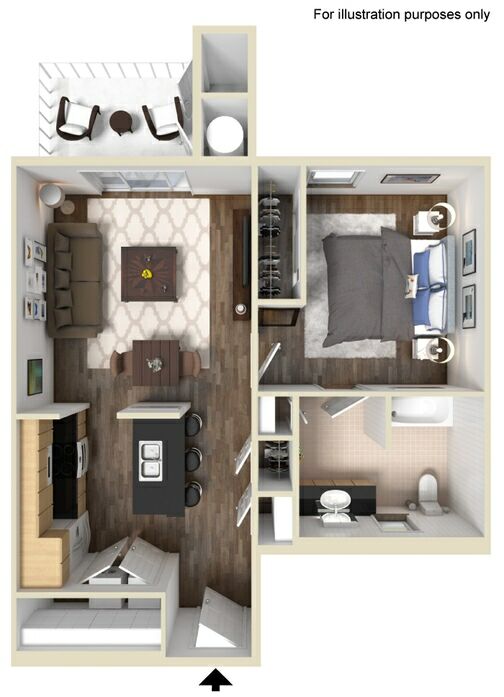 This floor plan has a practical design that provides wonderful fluidity throughout the apartment. A spacious kitchen opens up into the dining room and living room, which are handsomely connected. This home also comes with beautiful modern wood like flooring and Berber carpet in the bedrooms. With all energy efficient appliances throughout including full size washer and dryer you will be able to reduce living costs. There is also a gracious amount of balcony/patio space for you to enjoy the outdoors without leaving home. 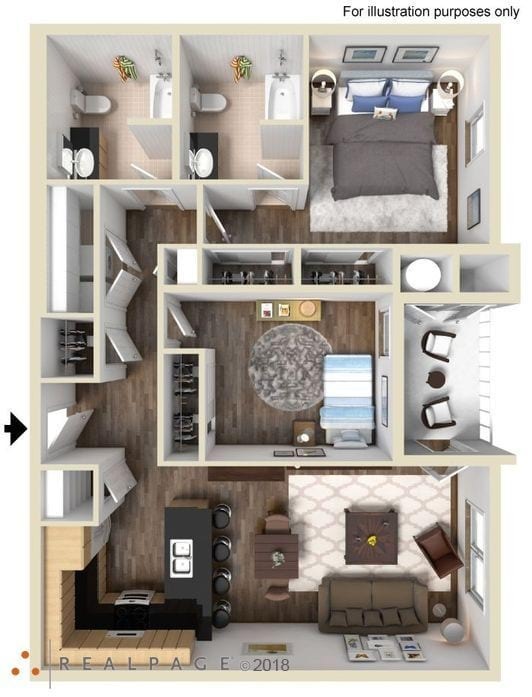 This floor plan has a practical design that provides wonderful fludity throughout the apartment. A spacious kitchen opens up into the dining room and living room, which are handsomely connected. This home also comes with beautiful modern wood like flooring and Berber carpet in the bedrooms. With all energy efficient appliances throughout including the full size washer and dryer you will be able to reduce living costs. There is also a gracious amount of balcony/patio space for you to enjoy the outdoors without leaving home. 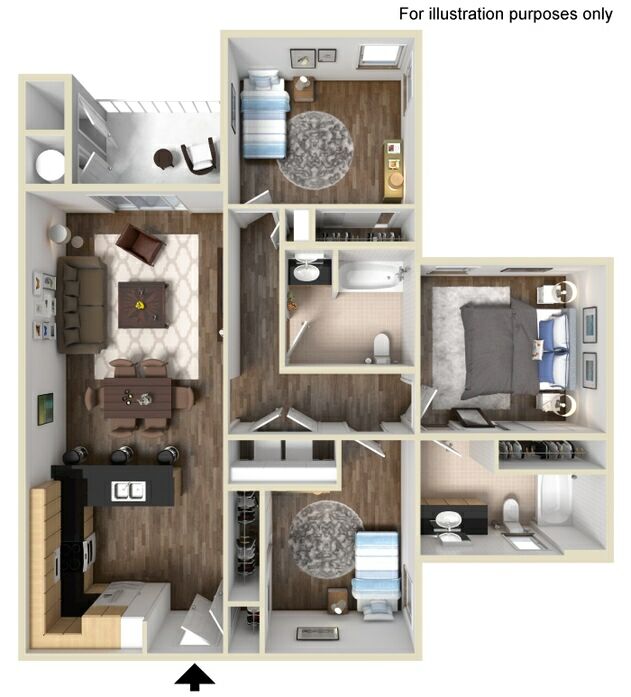 This unique 3 bedroom floor plan with designer palette features a fully-equipped kitchens with energy efficient appliances. This spectacular home also features generous counter and cabinet space, designer lighting package, with wood like flooring in the common areas with lush Berber carpet in the bedrooms. The best feature is the full size washer and dryer. Enjoy the beautiful Santa Fe scenery on your private patio/balcony that has additional storage.